Registration for the WSCSS Spring Conference and Retreat has closed. We look forward to seeing you March 1st to 3rd at Campbell's Resort in Chelan, WA. Check out the keynotes and preview the program below. The draft program for the 2019 Spring Conference and Retreat is now available! Please check out the program to see the conference format and breadth of offerings. Documents provided by our 2018 session presenters can be found here for your reference and future use. Before joining the faculty at the University of Washington in 1997, Mark A. Smith completed his undergraduate degree in economics at M.I.T. and earned his Ph.D. in political science at the University of Minnesota. He is Professor of Political Science and Adjunct Professor of Communication and Comparative Religion at the UW. Smith’s research and teaching focuses on American domestic politics, including elections, public opinion, interest groups, and religion. He is the author of two award-winning books, American Business and Political Power: Public Opinion, Elections, and Democracy; and Secular Faith: How Culture Has Trumped Religion in American Politics. He is a regular commentator on national and state politics for print, radio, and television outlets. Living Voices creates dynamic interactive multi-media performances to bring life to history. Using historical perspectives based on real people and events, the Living Voices technique combines live performance with video, audio, visual aids and discussion. Historical film footage and photographs, blended with audio and presented in synchronization with a solo actor, gives the audience a chance to experience how the world looked, sounded and felt during a significant time in history. Jessie is the daughter of a Political columnist from Tennessee, growing up in Washington, DC during the early 1900s with dreams of being as important to her father as her younger brother is. 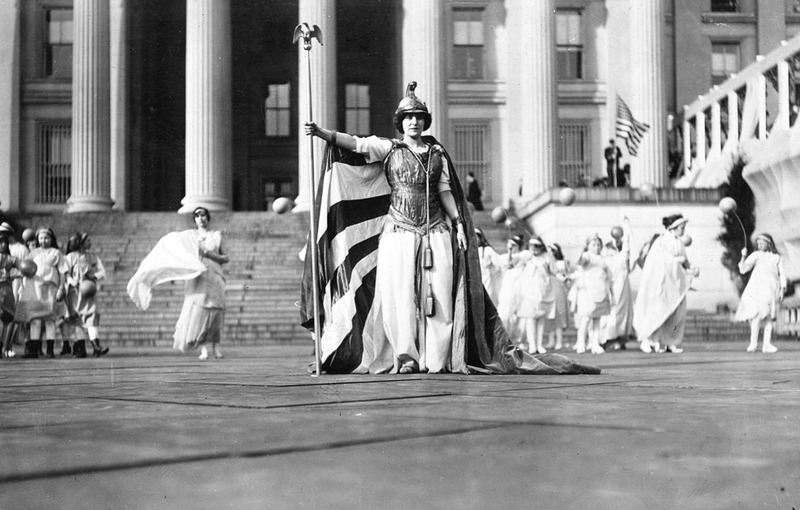 When her Great-Aunt Charlotte, a longtime suffragist, comes to Washington, she introduces Jessie to the movement. Jessie begins to learn about the history of the women who started the movement, such as Susan B. Anthony and Elizabeth Cady Stanton, the new generation who have continued the fight, like Alice Paul and Lucy Burns--and those who oppose it, including her own parents. Despite their objections, Jessie soon becomes deeply involved in the suffrage movement, comparing their fight for democracy to the one her brother Will stands for when he goes overseas as a soldier in World War I. As tragedy strikes both at home and abroad and the battle for the vote continues to escalate, everyone in Jessie's family must face their own decisions about what they believe is right and the actions they are willing to take on this pivotal issue. Hilary Klein is the Director of Multi-State Initiatives at Make the Road, a family of organizations that builds the power of immigrant and working class communities to achieve justice and dignity. Hilary also spent several years in Chiapas, Mexico, working with women's cooperatives in Zapatista villages, and is the author of the book Compañeras: Zapatista Women’s Stories, which sheds light on women’s involvement in the Zapatista movement. Compañeras tells the stories of rural indigenous women who became guerilla insurgents and political leaders, educators and healers – and who worked together to construct a new society of dignity and justice. Klein will bring these stories of struggle and courage to life, and will share an inspiring narrative of collective liberation that has profound lessons to teach us about the struggle for justice in our own uncertain times. Doug Selwyn was a teacher in the Seattle Public Schools from 1984-2000 before beginning work in teacher education programs at the university level, first at Antioch University Seattle, and then for the past ten years as a professor of education at the State University of New York in Plattsburgh NY. He was a member of the Washington State Council for the Social Studies for many years, and is a past president. He has written several books on social studies education including Living History in the Classroom, Social Studies at the center (With Tarry Lindquist), History in the Present Tense (with Jan Maher) and Following the Threads: Bringing Inquiry Research into the Classroom. 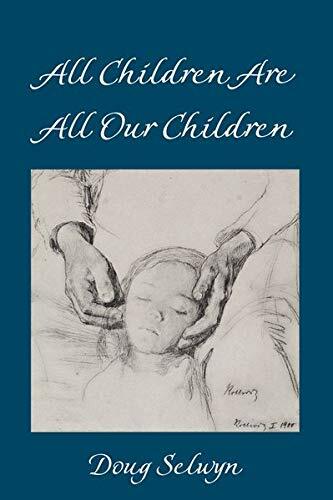 He has just completed a book on the connection between health and education, and the disconnect between what we say and what we do, titled All Children Are All Our Children: Changing the Conversation on Education and Health. It will be published by Peter Lang, and is due out by the end of the year or very early in 2019. He is very excited to be coming back to the Chelan conference. REGISTRATION IS CLOSED — This per-person registration includes attendance to the conference, five meals (dinner on Friday through breakfast on Sunday) at Campbell’s Resort, an annual membership in the WSCSS, and 16 clock hours. Spouse registration includes meals only. LODGING AT CAMPBELL’S-- Lodging is not included with conference registration. Campbell’s Resort does provide a limited number of rooms at a discounted rate. Please mention getting a room in the WSCSS conference block to get this lower rate. Accommodations should be made for Friday, March 1st and Saturday, March 2nd. PAYMENT INFO -- We are an all-volunteer nonprofit comprised of working teachers. To simplify conference registration, all registrations payments are through online credit card only. We no longer accept checks or purchase orders. If your district is paying your conference fee, please ask your administrator to use the district credit card. QUESTIONS -- If you have any registration questions or concerns including cancellation, please contact Mary Barnes at mbarnes7@uw.edu. Meet and interact with some of the most involved and dedicated Social Studies teachers in the state! Your registration will provide you with a table outside the Ballroom for your use during the day, WiFi access, and a WSCSS Blog/Twitter/Facebook post about your organization. Cant attend the conference, but want to get the word out about your organization? Consider getting your flyer directly into the hands of our teachers by registering for a flyer placement in the program folders for $40. Feel free to begin setting up your table at 7AM (One hour before the conference starts) on Saturday. Please be sure to pack an extension cord for your electronics if needed. Please remember to reserve accommodations at Campbell’s Resort, which has a discounted WSCSS rate. Mention that you're with the WSCSS when you call to get the discounted rate! The conference will convene from 1 PM on March 1st to late morning on March 3rd, 2019 at Campbell's Resort. Now Closed - Present that amazing lesson or program you have at the Spring Conference! The window for submitting sessions for the 2019 Spring Conference has closed. If you are interested in presenting at the Spring conference (and being able to register for the conference at-cost) please begin brainstorming what great lessons or resources you could share on the theme of this year's spring conference: What Unites Us . Register for the conference. In exchange for presenting a session, you'll receive our most reduced conference fee, just $240 ($215 with the early bird coupon code) for a three day conference! Book accommodations in Chelan. Remember to mention you're with the WSCSS to get the best rate. Submit a Proposal to teach something great! 50 words or less, to be published in the conference program showing connection to the theme of "Building Bridges"
If your presentations features a product for sale or requires purchase of a specific curriculum to implement in the classroom, you must make this clear in your Presentation Description and at the beginning of your session in March. Attendees are much more likely to buy your product/service if they attend your session knowing beforehand that you are promoting a product and you will provide a usable portion of your product for them to try out after attending your session. I understand the WSCSS will furnish a power strip, screen, speakers, and a projector with a standard VGA cable in each room. I understand that if I use an Apple laptop or my laptop does not have a standard VGA port for connecting to a projector, I will need to bring any adapters necessary to connect to the VGA port on the projector. I plan on visiting my conference room BEFORE SESSIONS START on Friday or Saturday, so I can practice setting up my technology and troubleshoot as needed. Thank you! We will be in contact with you soon regarding your session proposal.